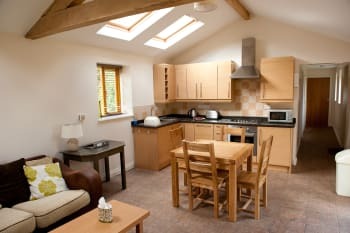 Self Catering Holiday Cottage near Symonds Yat. Beautifully positioned on the border of England and Wales in an Area of Outstanding Natural Beauty (AONB), Mailscot View is a cracking base from which to explore the Forest of Dean, Wye Valley and surrounding areas. Mailscot View is personally maintained by the owners and well equipped for a relaxing break, or an active adventure at any time of year. The cottage has 2 bedrooms that can be flexibly arranged with double beds or twin beds. With under floor heating, WiFi broadband and Freeview TV, Mailscot View provides the perfect place to unwind at the end of the day. Alternatively the local pub is a 5 minute walk away, and offers a good range of pub grub with local beer on tap. Bring a torch, as there are very few street lamps! There are no rooms available at Mailscot View for these dates. Just fantastic, everything was spot on and the best location. Can't believe we didn't get in the car for 4 days and could still walk miles. Loved it!! The new inn was lovely! Highly recommend the cafe at yats rock and also saracens head pub. Me, my wife, kids and dogs loved staying here. The location of the lodge is in a perfect location, the forest out the back was beautiful and only a short walk to the yat rock (views at yat rock are stunning).. 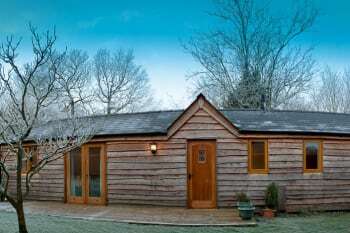 The lodge is in imaculate condition with lovely bathroom and kitchen. We loved chilling out here after a busy day. Pam the owner is a lovely lady and easy to deal with. I will be making a return visit in the near future. yat rock was my favourite place, puzzle wood and the mines at clearwell we’re also great.. I’m a keen mountain biker and loved riding here prob the best place I’ve rode in the uk. We love it at Mailscot view, fantastic base for us and our dogs. Direct access to the forest is great, we park car up for the week and just walk and relax. The owner texted us to let us know the accommodation was ready prior to the normal time. We were greeted in a friendly manner and shown around the property. Nothing seemed too much trouble. The muffins left for us were a nice touch as was the milk, coffee and tea. 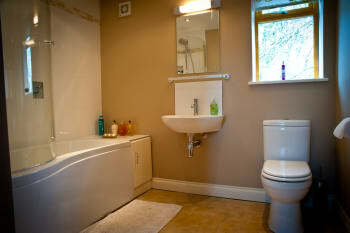 This property is in easy walking distance to a pub which serves good food. The garden gate leads straight on to the forest. Speech House is a short drive away and is a country mansion turned hotel and serves good food at a reasonable price. Property within easy reach of Ross on Wye and Monmouth. The Symonds Yat is very close by and below is a river trip is worthwhile taking. A very picturesque area. Very comfortable cottage, with everything you need. We were very sad to leave after spending a fantastic two weeks there. We made lots of use of the patio dinning area, and saw deer, wild boar and lots of other wildlife on a regular basis very close up. Hope we visit again soon. Lots of walks can be done straight out of the cottage with lots of wildlife seen. Puzzlewood and Perry grove great for the kids. Clearwell caves fantastic and Hopewell Mines is an eye opener into the dark side of coal mining. We had great take away chinese food from Haug's in Berry Hill (just up the road), we ate in at Cinamons Indian in Colford fantastic food, and had fish and chips from The Tram Stop also in Coleford, really good food at the cafe Kaplins too. Plenty of information leaflets available for local places to interest. Lovely cottage, which was comfortable & had everything we needed. Friendly owner that made us welcome. Lovely cottage, clean & well presented. Secure garden for the dogs with a nice seating area. Backs onto forest & 10 mins walk from a nice pub (new inn) & from the forest retreat which has a bar, does food & sells some groceries & gifts(open to non residents). Can also walk from the cottage to Symonds Yat. Plenty of wildlife including deer & wild boar. Pam & Andy were really nice & very helpful. Wonderful stay! Couldn't have asked for more. Walking to symmonds yat Rick and having a coffee from the log cabin. The 3 mile walk from symmonds yat east to billions bridge and back to the Saracens pub. Looking for peraguines at the Rock view. 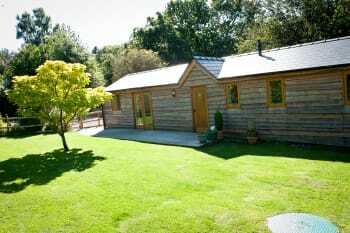 Very cosy lodge in a good central location within the Forest of Dean. Well stocked kitchen. Flowers, muffins and milk on arrival a nice touch. Would love to revisit in the summer to make use of the private garden. We had two excellent meals out - Sacacens Head in Symonds Yat East and Ostrich Inn at Newland. The walk along the Wye to Monmouth and back is lovely (but be prepared for steep climb to/from river). Cinema in Monmouth at the Savoy Theatre is like stepping back in time (including the £5.00 entrance fee). Absoloutely love saying at Mailscot View. I’m a repeat customer and it’s fabulous value for money. You cannot ask for a better location straight into the beautiful forest. My dogs are welcomed and made to feel at home. The cabin has everything you could need for a perfect break away. I will be returning again and again. I’ve recommended to my friends one of whom booked to stay immediately and checked in as I checked out. Absolutely stunning place in a lovely setting. Fully equipped with everything you need. Perfect for dogs, and will definitely be back. Perfect spot for walking in the forest, with easy access to Brecon Beacons, Cotswolds, and other fantastic walking routes. So glad you enjoyed it.look forward to seeing you again. Our 3rd visit and never disappoints. Feels like a second home for us and our 3 Basset Hounds. New Inn is the nearest pub to eat at, food is excellent and very accommodating with dogs. We have stayed at Mailscot View before, so already knew that the location and accommodation are both excellent. Having the forest directly behind the lodge is fantastic and we did many walks straight from the door. The accommodation is great for our dog too, as the garden is fully enclosed. Also, the floors are tiled or wood, so easy to keep clean. We only used the underfloor heating in the bathroom, which is lovely, so can only imagine this would be excellent for the rest of the house too. Very comfy bed, and lovely bed linen, made for excellent sleeping! The bath is lovely and big, great for a long soak after a long walk. The shower is also really good. The kitchen is well equipped with everything you need. Pam was a lovely host and I am sure if we had had any issues, these would have been dealt with swiftly. We had a lovely time and wouldn't hesitate to recommend Mailscot View to friends and family. We will undoubtedly be back! The New Inn is a great pub within 5 minutes walk. Great food, large portion sizes and good selection of drinks. The Ostrich is an interesting and quirky pub - the food looked amazing but we didn't eat there. Lots of wonderful wildlife to look out for. We saw Deer, a Fox, Bats and a Hedgehog as well as many obvious signs of Wild Boar. A real home from home. So relaxing and well equipped. Perfect location for exploring the forest, miles and miles of walking routes straight from the door. Good location, great for dogs - a relaxed owner lives next door and a secure private garden gives freedom and security. You can walk straight from the garden into the woods and down to the river or to Symonds Yat rock. The Saracens Head in Symonds Yat serves great food and is dog friendly. Monmouth is a lovely town, with a pretty river walk and plenty of shops. Try Madeleine's for coffee, great bread and sandwiches. It's worth the trip to Hay Bluff (an hour's drive, cross country) to walk on Offa's Dyke way - a beautiful place. Great place , easy access to forest walks , the cottage was very cosy and had everything we could ask for. Lovely, comfortable accommodation with real attention to detail and a very warm welcome. Pam is a great hostess very warm welcome when we arrived nothing too much trouble for her, great location for the woods first time I haven't had to drive so much, everything on the doorstep, literally out of the door into the woods which was great for our 2 dogs they loved it, would definitely go back again. Lots of outdoor stuff to do here, too much to mention, worth noting that there are biting insects here, I forgot my insect repellant wore shorts and got eaten alive when walking by the river. 5*Lovely cottage nad very nice owners! Myself and family had the most amazing time..we only stayed 3 nights, which we found wasn't enough...mailscot view had everything you would need for your stay. Books to read if relaxing, dvds if you fancy a a chilled evening in. Pam the owner made sure you had everything to make your stay perfect.. Pam also left a lovely welcome pack including yummy cakes, treats for the dogs and also balls for dogs to play with. We will definitely return again. The forest walks are amazing, we walked for hours and only seen a bit of the forest. Symonds Yat rock has beautiful views and a nice little cafe, which I must say makes a lovely cuppa. Symonds Yat east was beautiful too, with a lovely river side walk, bars which serve lunch , cream teas etc. The new Inn pub only a short walk welcomes dogs and do delicious food. This was an amazing place to stay. The facilities and accommidation was amazing. The dogs felt like they were at home. 100% dog friendly. Cant wait to book to stay again we all enjoyed it that much. Takeaways make sure you have cash as the one we used didn't have card reader. But the local pup did amazing food. The small town a few miles away was lovely. Especially the traditional butchers. The view point is a must. A lovely walk with the dogs, stopping for a coffee at the cabin on the way back. Beautiful accommodation, ideal location. Warm welcome by the owner. Would highly recommend. We will be returning soon. Clearwell caves well worth a visit. If you have children check the activities are running, go ape etc. Think we were on different school holidays to the local schools. Couldn't have wished for a better location to get straight into the Forest of Dean. 25min walk from Symonds Yat. Safe secure garden for the dog. Great underfloor heating. Light and spacious. Lots of great walks. Cinema in Coleford for a really rainy day! The local pub, the new inn is great, lots of choice including gluten free and dog friendly. Saracens head is a short walk in symonds yat and well worth a visit too as well as the fountain inn at parkend, also coeliac and dog friendly. Beechenhurst is good for walking/cycle trails and the cafe is really nice. Mallards pike is great for a walk away from the busy places. The cottage was perfect. It was clean, warm and comfortable. It had everything we needed and more. We were really impressed with the garden as it was a good size and there was chicken wire within the hedges so it was completely secure for our small dogs. The cottage is perfectly located for walking in the forest. The new owner, Pam is lovely, nothing is too much trouble. We had a brilliant week and would recommend Mailscot View to anyone. Although this cabin is on a fairly busy road, the garden is completely escape proof so no worries there. Owner left a lovely welcome pack. The Lodge hotel in Symonds Yat East takes dogs and is a lovely restaurant. This is our 2nd stay here. Greeted by owner very friendly, pleasant and helpful. Easy to contact if you have a problem. The dog friendly cottage was perfect for us. Booking was very easy with a quick response time. The welcome pack on arrival was lovely, and we were made to feel very welcome. We enjoyed our stay. Symonds Yat Rock Symonds Yat East, Dog friendly Pub & Tea shop down by the river. As a family of 3 we had a wonderful time staying at Mailscot View. The holiday cottage was spacious, clean and had excellent facilities. Being situated right next to the forest makes it ideal for watching wildlife or taking walks in the forest without having to get in the car. The only recommendation we could think of was the addition of a coat rack in the hallway. But can't wait to go back! The Tram Stop fish and chip shop in nearby Coleford is excellent, as is Kaplan's cafe, Cinnamon's Indian restaurant and the local Chinese takeaway in Berry Hill. The number of good walks are too numerous to mention.